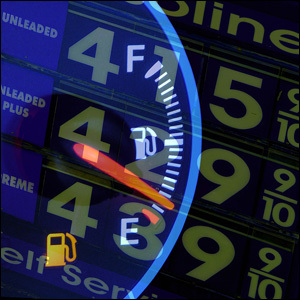 You’re standing at the gas pump watching how much it’s going to take to fill your tank. You top it off at 20 gallons. Would you be surprised to find out that fewer than four gallons of that will actually be burned to turn your tires and push you down the road? It’s true. The rest of the energy is lost through engine heat (about 70 percent); powering the things attached to your engine, like your alternator and water pump (five percent); drive-train inefficiencies (five percent); and idling (three percent). Only about 17 to 21 percent of the energy your gasoline delivers makes its way all the way your tires to keep you rolling down the highway. This sounds bad, and it is, but it also presents lots of opportunities for emerging technologies to make cars more fuel efficient and greener. Green Design Choices: Why Make the Transition? We’ve heard a great deal over the past several years about the benefits of “going green.” Yet, while most of us know that this has something to do with helping the environment, just exactly does it mean to go green and why should someone consider it? In its most basic sense, going green entails using more efficient ways of doing things that will ultimately result in saving energy as well as cutting down on harmful effects such as pollution in the environment. 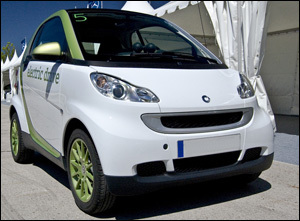 Are Electric Vehicles the Future or Just Filling the Gap? With dramatically increasing gas prices, fear of oil shortages, and mounting pressure to go green and protect the environment, there is becoming a greater push to develop and use electric cars. But are electric vehicles the answer? Or are they just a step in the right direction? Whether you are environmentally conscious, looking for sustainable transportation, or simply wanting to keep up on the latest auto trends, read on to learn what you need to know about the direction electric vehicles are taking. Cleaning our homes is essential. We need to pick up after ourselves, vacuum or sweep our floors, dust, mop – there is a lot to do. Most household cleaners contain harsh chemicals that are not good for the environment or for our health. Some have an awful smell that lingers throughout our homes. Others produce heavy toxins that we start to get a headache shortly after we start cleaning. Some are so bad that they burn the back of our throat. Luckily, many green cleaning products are available today that still clean just as well as regular cleaners, but are less harmful to both the environment and ourselves. 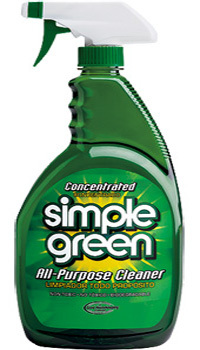 From floor cleaners to laundry detergents, there are plenty of green products to choose from. 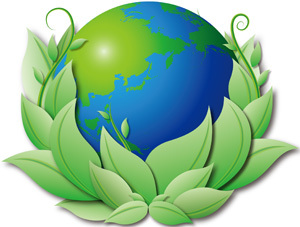 The following are the top three brands that offer a variety of green products. From an environmental standpoint, recycling is infinitely preferable to dumping items in a landfill – but recycling has its own environmental costs. When possible, re-using materials is a far more eco-friendly practice than recycling them. 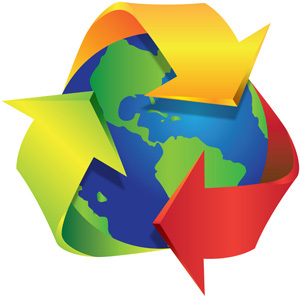 The recycling process itself is, at its core, a manufacturing process. As such, it results in carbon emissions, air pollution, water pollution, energy use, and many of the same types of environmental costs of producing the “original” or un-recycled article.